Western culture, especially an advanced consumer culture like America, is entranced with the content of life while the context of life remains hidden. The content of life is composed of cultural productions while the context of life involves the natural phenomena of space, time and place containing these cultural productions. One of the key elements of cultural content is a message. These messages exist in the context of space, time and place that form a type of “media ecology” of their time. This is another way of saying that our culture focuses on the messages of life rather than the medium they arrive in. Yet Marshall McLuhan reminded “the medium is the message” meaning context of messages define the content of messages. Someone once said while we don’t know who discovered water, we can be reasonable sure it wasn’t a fish. This is another way of saying the natural phenomena of context we “swim” in each day (like fish swim in water) is something taken for granted, a given of life, something to be accepted rather than questioned or even observed in the first place. While cultural content comes millions of shapes, colors and forms, context possesses the common phenomena of light. The phenomenon of “light” defines the space, time and place of context. It is the one element they all have in common. One doesn’t have to go any further than the opening line of the Bible “Let there be light” to understand the importance of the phenomena of light to humanity. One of the greatest cultural productions is a story. A story contains a number of contentual elements such as characters, dialogue and action – the productions of the story. These elements of story occur within a particular context of a setting in space, time and place. We can say, the elements of a story occur within a context of light. It would not be an exaggeration to say that film is the greatest form of storytelling ever invented by mankind. More specifically, that form of storytelling invented by American culture. Modern film storytelling involves formulas for the action of the hero through a film story in the form of plot structure and rules of dialogue. These elements of film content are subject to the teachings of Hollywood story gurus and countless books and seminars on creating film stories. Given little attention in modern film stories is the manipulation of the context of light. Light was an important element in the early years of film when there was no sound in films and filmmakers were forced to use light to tell their stories. But with the development of sound and theories dialogue and plot structure, modern films have moved further and further away from recognizing the importance of light in film stories. Many in Hollywood would probably dispute this because controlling film light is a large part of filmmaking today. However, it is one thing to control light in film scenes and another to understand how light relates to the dynamics of the overall story. Little about this is understood or put into practice in the creation of modern films. In applying the context of light to modern storytelling, one needs to keep in mind two key laws of symbolism. One is the law of opposites or difference; the other is the law of correspondence or similarity. The law of opposites involves the movement of symbols in linear time (from a beginning to end, past to future) while the law of correspondence involves the alignment of symbols in non-linear time (moment in time). A story (film, screenplay) can be envisioned as a movement between a symbol representing the hero of the story at the beginning of the story and a symbol of the hero at the end of the story. The greater opposition (difference) between these two symbols, the greater drama of the story. Movement between the opposition symbols occurs in a series of sequences or scenes creating plot structure. While the law of opposition rules the beginning and ending of stories, the law of correspondence (similarity) rules the present (scenes, settings) of a film story. These scenes are the steps the hero of a story goes through in making his or her journey from the beginning to the end of the story. The image of a cross can be used to represent the symbolism of story light. The horizontal line of the cross represents the linear movement of light symbolism from the beginning of the story on the left (Act I) to the end of the story on the right (Act III). The vertical line of the cross represents the non-linear static alignment of light symbolism at one particular moment (scene) within the story. The movement of light symbolism through a film can be envisioned as the movement from left to right of the vertical line along the horizontal line. Film lighting has seen huge advancements since the era of silent film. Lighting in films is subject to being controlled more than ever. Yet lighting control is much like the entrancement of culture on content and message rather than context. While lighting can make the content (scenes) of films spectacular, film lighting has little understanding of the overall story context it operates within. Focused on the technology of controlling light, Hollywood has little interest or knowledge in the movement of light through a story or its alignment at particular points of time within stories. In a general way, one might say that the symbolic change of light in a story goes from either light to dark or dark to light. The former offers the formula for a tragedy while the latter for a romance or satire. But light has many correspondences and qualities other than its absence or presence. Below are some symbolic correspondence of light to the elements of context we have mentioned in the phenomena of space, time and place. The phenomena of space is associated with light as there is different light within an inside (enclosed) space versus an outside space. Inside spaces are most often cultural productions in the form of structures like homes and buildings. Light within these structures comes from artificial sources like florescent lighting and tungsten lighting. Outside light comes from natural sources like the sun and the moon. Tungsten light of lamps and lights in homes has a temperature between 2,700 degrees and 3,500 degrees and has a gold, yellow tint to it. Outside light has a temperature of 5,500+ degrees and has a blue tint to it. Space also has the characteristics of below or above with above space possessing more light than below space. The phenomenon of time is also associated with light. The major divisions of time on a daily basis are daytime and nighttime. Sunlight controls the day while moonlight the night. Yet between day and night there are the gradations of light contained in sunrise, morning, noon, afternoon, evening, twilight and sunset. Apart from the divisions of daily light, the time of year is also associated with light with the seasons of summer and spring offering periods where sunlight comes from a higher source in the sky than fall and winter where it comes from a lower source in the sky. The phenomenon of place encompasses space and time and involves different settings or locations in a story. All of these locations are subject to being defined by a certain space and time but also by additional elements such as major ecologies such as deserts, forests, mountains, oceans, jungles and prairies. Each has a particular light to it. The desert light has a direct light. Forest light a shaded, indirect light. Place also involves various phenomena such as weather and the various light this weather brings with it. Place has the light stormy weather (snow, rain) foggy weather, smoggy weather, clear weather. The above contexts of space, time and place all contain various qualities of light. These qualities can be identified as colors, hues, shades, tones, contrast and the sources of light. Light color exists on a spectrum of perceived light from orange and red on one side to blue on the other side. If effect, color of light in a story should possess a movement from one part of the color spectrum to the other. If color is held the same throughout the story, then other qualities of light need to be changed to show dramatic movement. For example, a story might remain a “blue” story but the hues and shades and tones within this blue need to change. Another quality of light is whether it comes from an object (radiated light) or falls on an object (reflected light). Light that falls on an object (such as the Hero of a story) can come from above, below, the side, behind, in front of or through the subject. All areas have symbolic meaning. It can be direct light or diffused light. 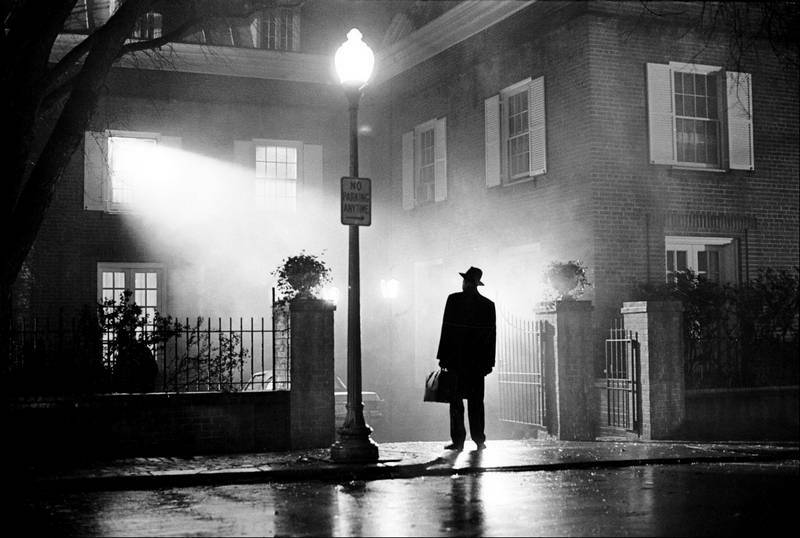 Screenwriting recognizes the context of film story scenes in its capitalized directions before a scene. All scenes in screenplays begin with the direction of whether it is an inside scene designated by INT. (for internal, inside) or an outside scene designated by EXT. (for external, outside). The second element of scene direction is place. The third element is the time of the scene designated by the capitalized words NIGHT or DAY. Below these general scene directions is a description of the place and the action happening in this place. For example, a screenplay scene might look like the below. The Valley of the Moon in full bloom. An explosion of color. Wildflowers. Yellow mustard plants carpet the valley. The vines are beginning to awaken. A car heads along Highway 12 that runs through the valley. While the contexts of scenes are labeled via the above method, the symbolism and movement of light through the film left to the discretion of the film’s art director, cinematographer and director. More often than not, their discretion is focused more on the content of the individual scenes of the film rather than the context of the scenes related to the overall story. Certain scenes might use light in a creative manner to make them “pop out.” While they might be creative and “pop out” they seldom adhere to the rules of light symbolism we have discussed. The question comes down to who should be the main creator (author) of light symbolism in a story. We suggest it needs to come more from the screenwriter who creates the story rather than those who interpret the story in producing a film of it. In other words, screenwriters need to be made aware of the use of light in a screenplay and have some new scene direction device that shows this use of light. The current scene description of EXT or INT and DAY or NIGHT simply does not place lighting of scenes in their symbolic context of the materials discussed above. By creating some additional scene description device, the screenwriter (creator) of a story gains more control over the symbolic power the story and makes it less influenced by the temperament of those (set designers, artistic directors, cinematographers or directors) who produce the story. In the next chapter, we’ll suggest a template for adding to screenwriting elements that allows the screenwriter to discover and use the power of light in stories. Next Post A fish in water. The carrier of water.